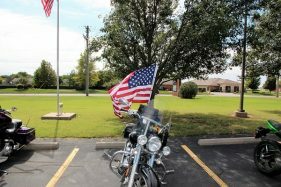 Biker Sunday at Haysville Christian Church. It doesn’t matter if you ride one wheel, two wheels, three wheels, four wheels or no wheels, you matter to God and to us. This is the day the Lord has made, let us rejoice, magnify Jesus, love one another and be glad in it!